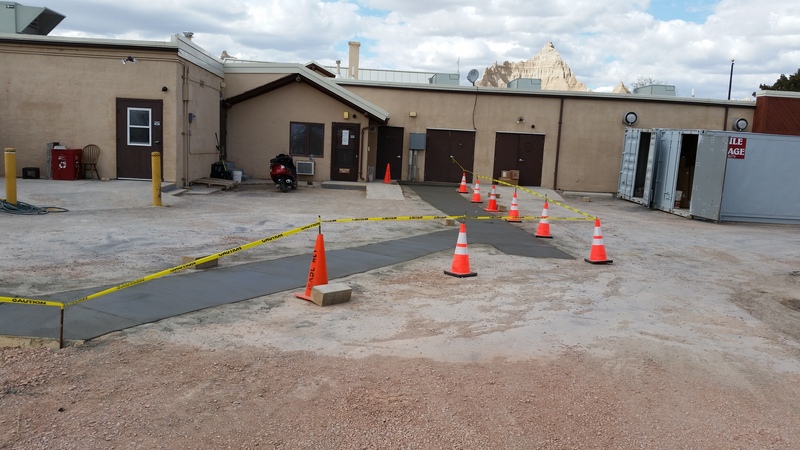 In the winter of 2015, the National Park Service turned to Rangel Construction Company for assistance on an emergency repair and improvement project. It was February of 2015, and the Cedar Pass Lodge in the Badlands National Park was scheduled to be open on April 15th. The lodge houses a gift store, restaurant, and administrative offices for the Cedar Pass recreation area. 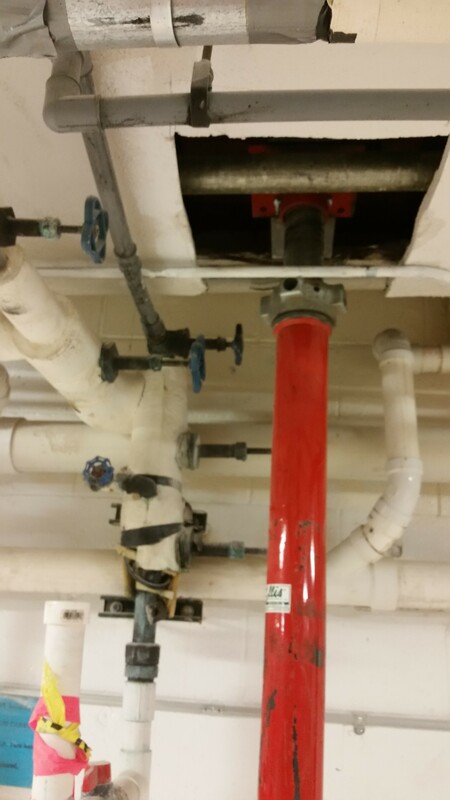 The building was significantly aged, and investigations by the National Park revealed compromised structural integrity, non-working sewer lines, and emergency lighting deficiencies. After a site visit and review of the project design documents, Rangel Construction submitted a cost proposal that was under the government’s estimate. An award was given, and work commenced in early March. This project had three main categories of work. 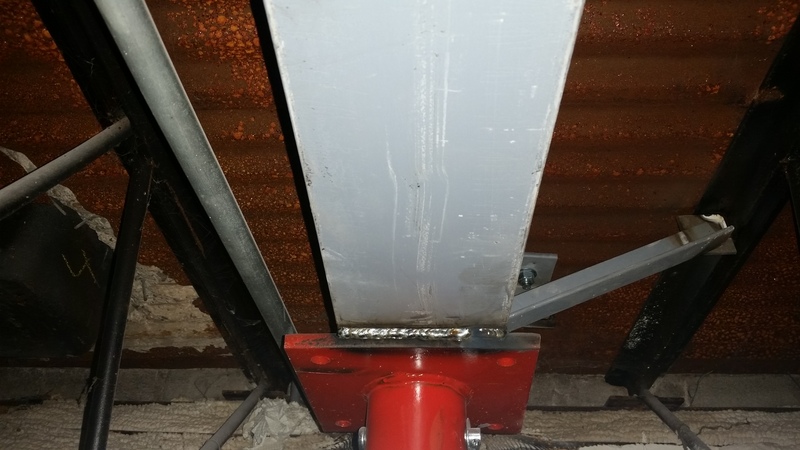 First, a section of elevated concrete floor (supported with steel decking and steel web joists) was failing due to corrosion. 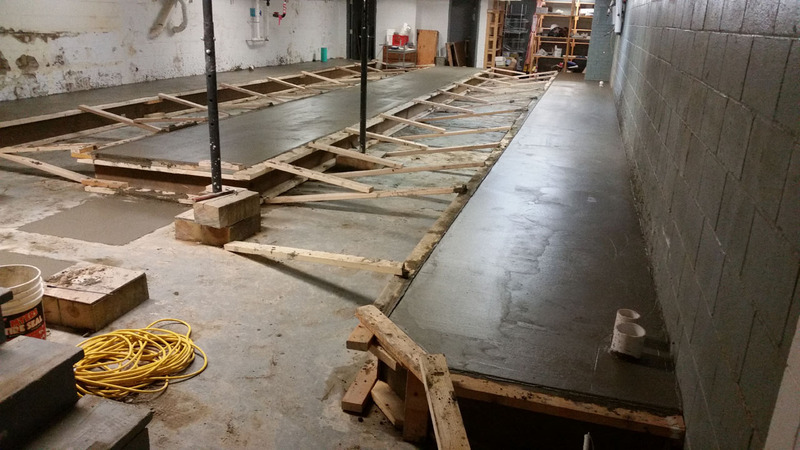 In order to stabilize the floor, reinforced concrete footings were poured on top of the slab-on-grade below, and then a combination of heavy-duty screw jacks and structural steel was permanently installed between each existing web joist. 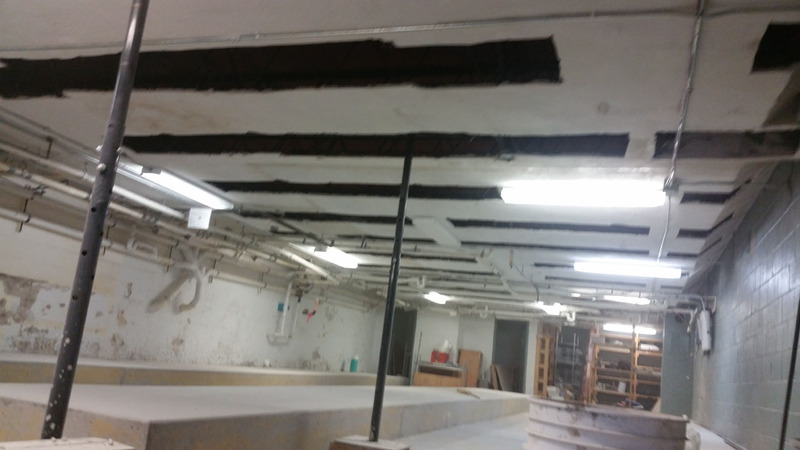 Installation of the new steel required removal of plaster ceiling systems, as well as the relocation of electrical and plumbing systems. 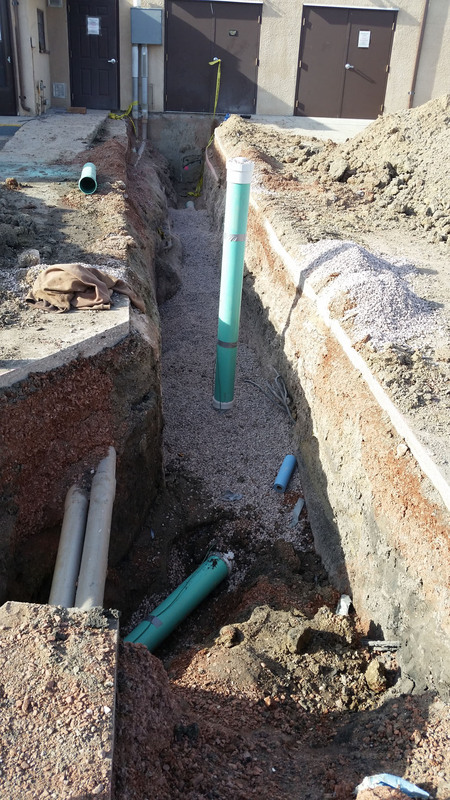 The second category was the installation of a new 6” sewer main (approximately 120’ in length), running from the building to an existing manhole. 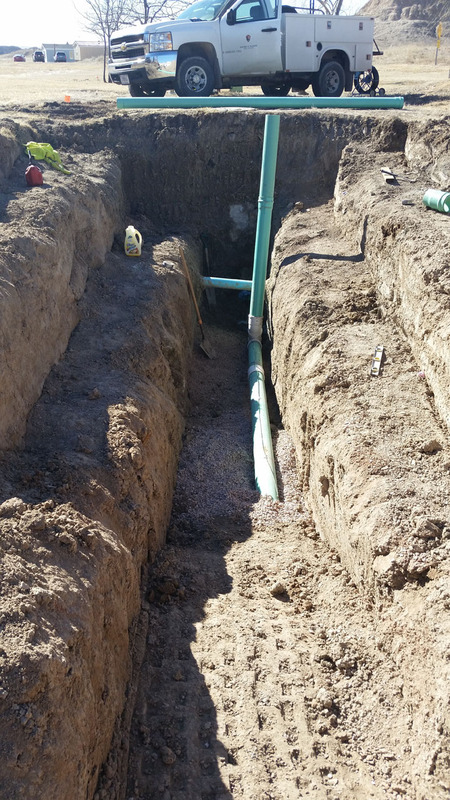 Significant investigation of the existing underground utilities was required, as the main electrical service entered the building at the same location where the new sewer line was to exit the building. Also, there were many abandoned utilities in the area that had to be confirmed as no longer in use. Concrete and asphalt cutting and patching was also involved. 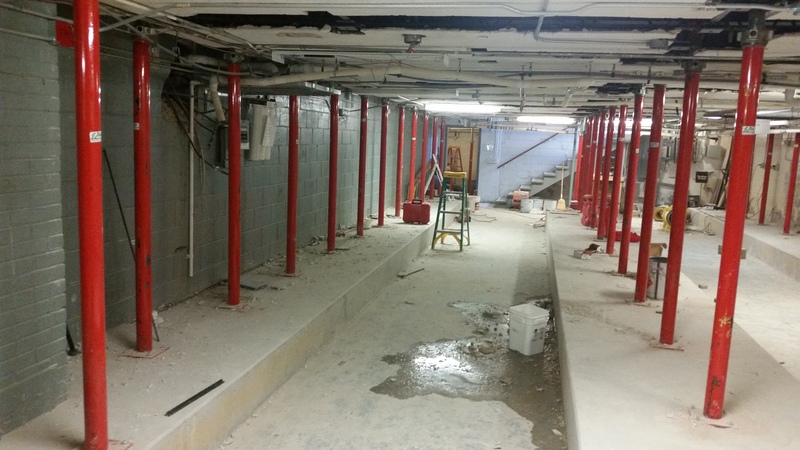 The third category of work was the installation of new emergency lighting throughout the facility. Locations of the light fixtures not only had to be coordinated with the project designer for adequate coverage, but power supply wiring had to be strategically routed through a historic portion of the lodge, which was constructed of exposed log trusses, beams, and columns. The project was completed on schedule, and the lodge was able to open on time.